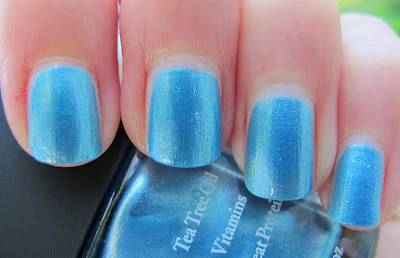 Never Enough Nails: Dr.'s Remedy Bold Baby Blue is HOT HOT HOTTTTT! Gahhhh!!!!! Check this baby out!! Baby blue, that is. BOLD Baby Blue is from the Dr.'s Remedy Hot Hot Hot Summer 2011 collection. The collection just arrived on my doorstep a few hours ago, but I'm already rocking a full mani with BOLD Baby Blue and my mom has it on her toes as well! BOLD Baby Blue is described as "an aqua-meets-turquoise take on every boy's favorite color". I do think it tends more toward the aqua/baby blue side myself. I used two coats of this polish in all of the pictures. It applied smoothly and covered evenly. Dry time was pretty fast as well. 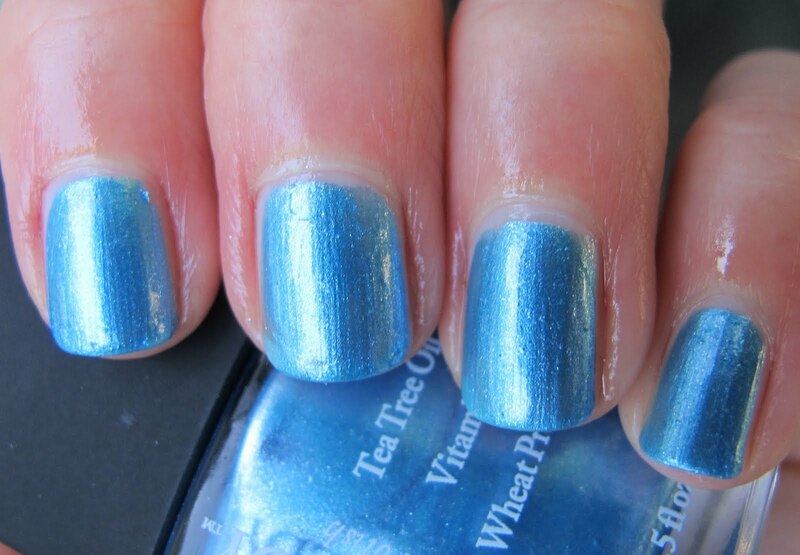 This polish is so shimmery and metallic in person it practically glows. It certainly is bold and I am really loving it. I do not have anything in my collection to compare it with either!!! The finish is like a cross between a metallic and a foil. It's smoother than a foil, but not as smooth as a metallic. You can almost see all of the little shimmer particles in the polish. I have tried a few other Dr.'s Remedy polishes before, and I did like them quite a lot. 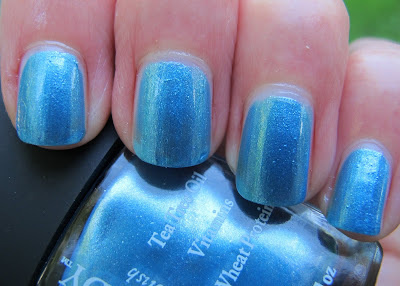 However, BOLD Baby Blue is my absolute favorite of theirs and is quickly becoming one of my favorite blue polishes. Period. Dr.'s Remedy BOLD Baby Blue is available online at Remedy Nails. 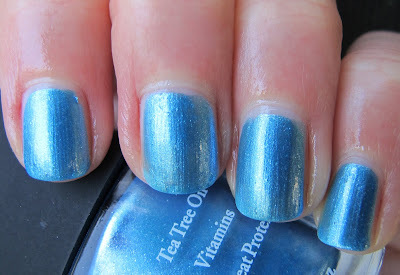 This polish was sent to me for review by a Public Relations agent for Dr.'s Remedy. For more information, please see my Disclosure Policy. Thanks! I'm pretty much obsessing about this one right now! So pretty! I love it! the shimmer is great! The shimmer definitely makes it unique Carly!